Dr. Brandon Kearbey and Dr. Malinda Kearbey are a husband-and-wife team who understand the special needs and expectations of families and professionals. With their team of friendly professionals, they are proud to serve patients from Hillsboro and all surrounding communities, including Forest Grove, Beaverton, Cornelius, and Rock Creek. 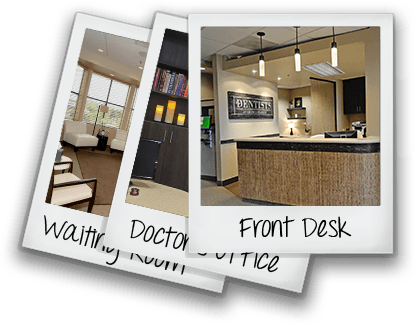 The entire team at The Dentists at Orenco Station wants to make your experience as pleasant as possible. They have a beautiful, state-of-the-art office designed to make your visit comfortable and relaxing. They also use the latest in dental technology, offered side-by-side with modern amenities and courteous service. Expect excellence from the moment you first walk in. Dr. Brandon Kearbey and Dr. Malinda Kearbey possess a lifelong love of learning and a passion for continuing education. They are constantly pursuing more advanced training and the latest technology in the industry, allowing them to provide their patients with unparalleled care every day. Both doctors have completed extensive courses in restorative, esthetic, and sedation dentistry, as well as management of occlusal issues and progressive treatment planning. Let our experience and education benefit you! Are you in need of family or preventive dental care? Do you want to create a new and more beautiful smile to improve your confidence or your oral health? Then we hope you’ll give our Hillsboro practice a call. Our team is ready to consult with you about your goals and to discuss your treatment options. We promise to work closely with you to create a personalized treatment plan that suits both you and your budget.